NYC Coalition and our community partners in Albany for our annual Legislative Day. Last week, New York State again led the country with a groundbreaking approach to gun control laws. We applaud this leadership and hope that the State will continue to be a pioneer with tobacco control. Tobacco is still the number one cause of preventable death. 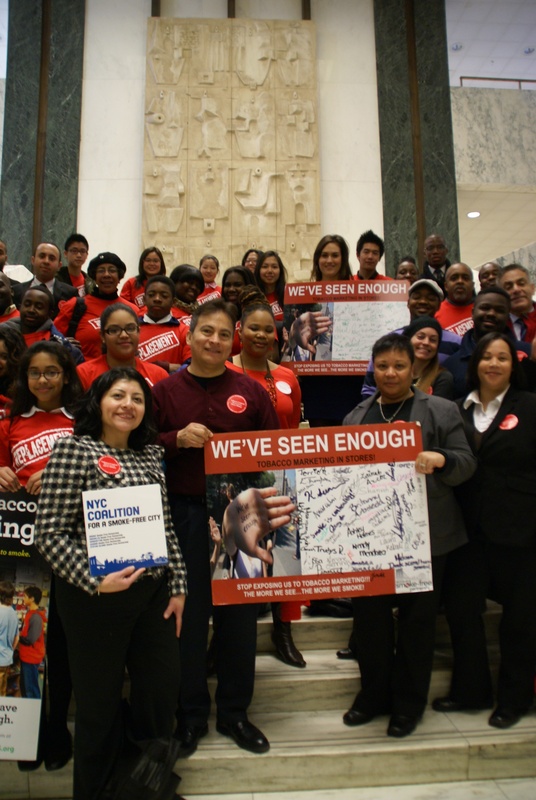 On January 22, the NYC Coalition joined Tobacco Control leaders from around New York State (NYS) and traveled to Albany to meet with legislators who can protect New Yorkers from the burden of tobacco. Tobacco use continues to inflict a terrible toll on NYS residents, especially many at-risk populations. 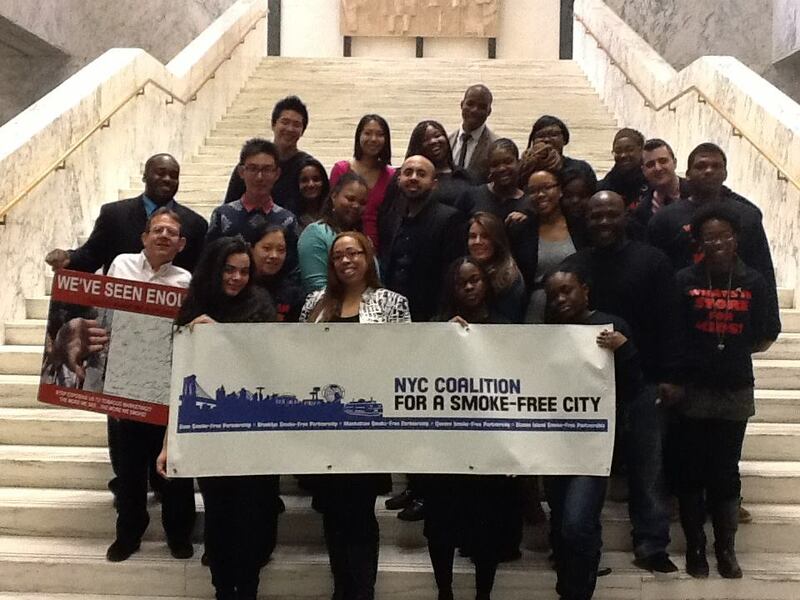 The NYC Coalition met with state legislators representing all five boroughs and explained that our work reduces the burden caused by tobacco. Our work saves lives and the state tax dollars. Tobacco control programs around NYS create healthier tobacco-free communities, protect children, and help current smokers to quit. 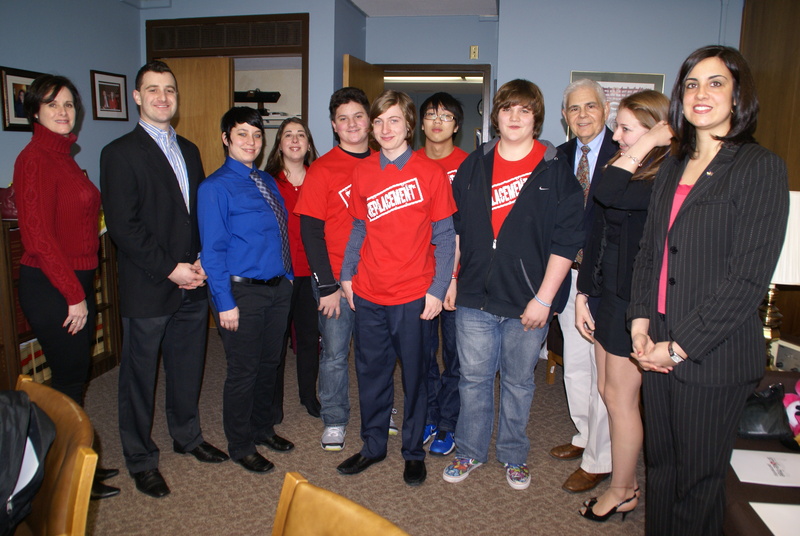 Each year, our community partners and youth from across the city join us for Legislative Day. It’s a tremendous opportunity to discuss with our elected officials the tobacco control strategies and successes that benefit all New York City residents, especially our city’s most vulnerable. 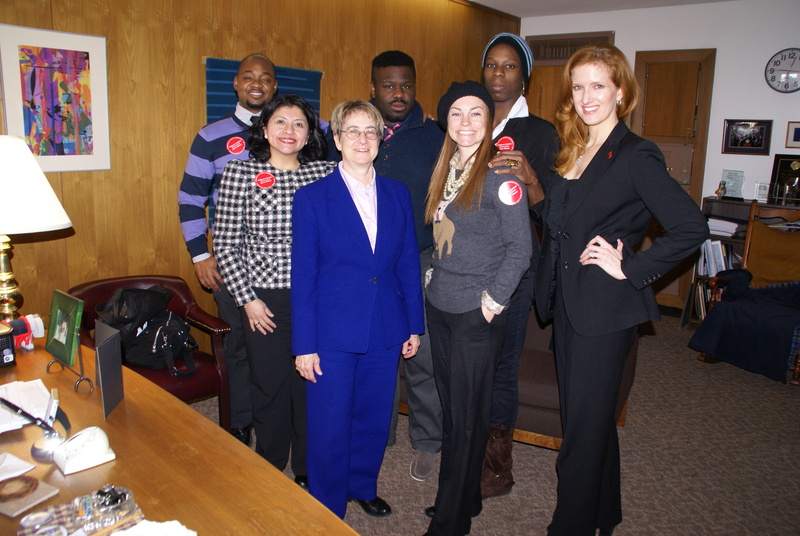 Our Brooklyn team met with Marcy Feinman, Legislative Liaison member from Assemblyman Joseph Lentol’s office. Center;Global Kids; YM & YWHA of Washington Heights & Inwood; American Lung Association of the Northeast, and Community Health Action of Staten Island to provide community level programs that reach disadvantaged urban neighborhoods. The working poor and minorities are among the hardest hit by tobacco use. Tobacco control programs help those who need it most. While New York has made great strides in reducing tobacco use, smoking prevalence has not declined for the poor, the less educated and those with self-reported poor mental health. These at-risk groups can least afford the cost of tobacco and the consequences of addiction. In New York City, 14% of adults are smokers. In 2010, 137,000 (12.6 percent) teenagers and 2,330,000 (15.5 percent) adults were smokers in New York State. Since 2000, adult smoking has fallen 28 percent in the overall population, but is unchanged among those with the lowest incomes, a group that now has the highest smoking rate. 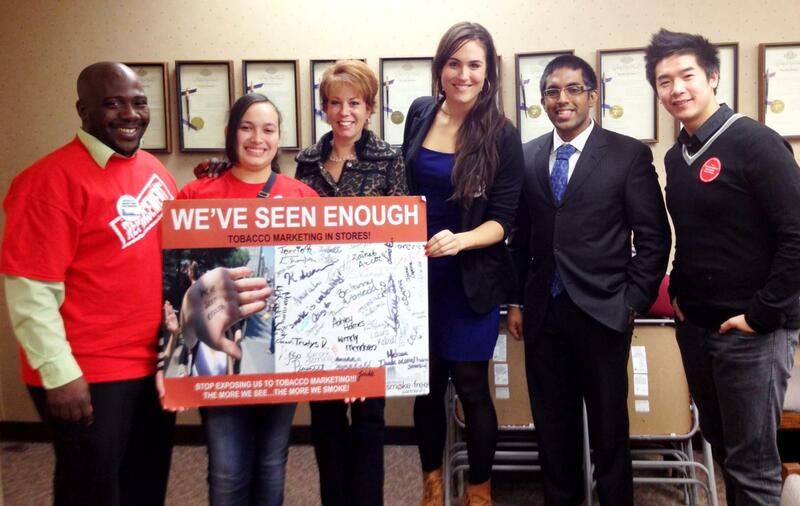 Our Brooklyn team met with Lentol Marcy Feiman, staff member from Assemblyman Joseph Lentol’s office. In New York State, more than 25,400 lives are lost due to tobacco use annually. Tobacco costs New Yorkers an estimated $8.17 billion on annual health care expenditures, including $2.7 billion in state and local Medicaid costs. Tobacco control programs are a wise investment of NYS dollars and more than pay for themselves by preventing illness, saving lives and reducing health care costs. 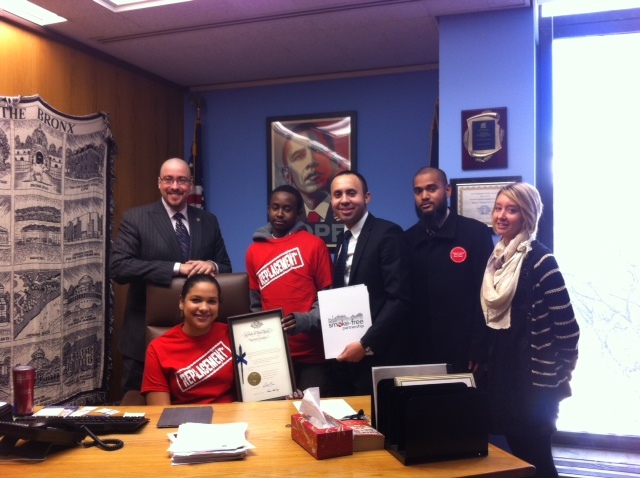 Our Queens team met with Assembly Member Markey’s office.